SonoSim International has proudly named Allytec AB of Sweden as the SonoSim International distributor of the year for 2014. Derek McLeish, President of SonoSim International, presented Allytec AB with their award at the inaugural SonoSim International Distributor Meetings in New Orleans this past January. 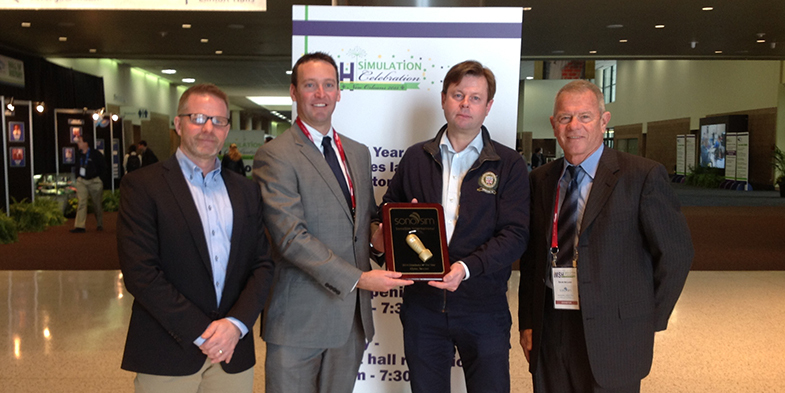 The award commemorates Bengt and Ragnar for their hard work and dedication in continuing SonoSim International’s efforts in saving lives, reducing healthcare costs, and improving patient outcomes. Congratulations to Allytec AB!